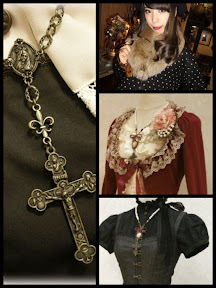 I'm still obsessing over crosses, fur, and OTT accessorizing. Second picture in second row, where is that from? The one with the Innocent World bolero. It's beautiful! Their blog is one of my favorites, they coordinate beautifully!